Stock status is current as of 4/22/2019 10:21 AMET. 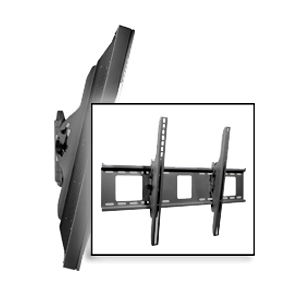 The SmartMount for 32" to 60" flat panel screens provides a versatile and secure solution for professional environments such as boardrooms, hotels and stadiums. This mount offers smooth, continuous one touch tilt, allowing for easy adjustment to achieve the perfect viewing angle without tools. 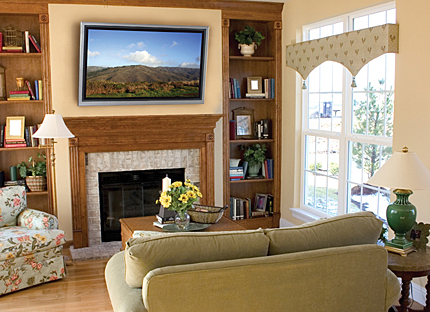 The mount includes simple to align universal brackets and a unique wall plate that can be mounted to a single wood stud, two wood studs up to 24” apart, or concrete. For easy installation the mount is preassembled and includes a Sorted-For-You™ baffle pack with all screen hardware and security fasteners.